Head’s Set Times announced for Acoustic Event! Blues Garage rock band, Kindest Of Thieves will be headlining a Warrington Music Festival fringe event taking place this Saturday (19th July), meaning the town is fortunate enough to see the band play twice on the same day! Chris Fox and Sam Lightfoot will be joined by Old Town Quartet, Kieran Gallimore, Like I Care and One Man Down at Head in Golden Square on Saturday. 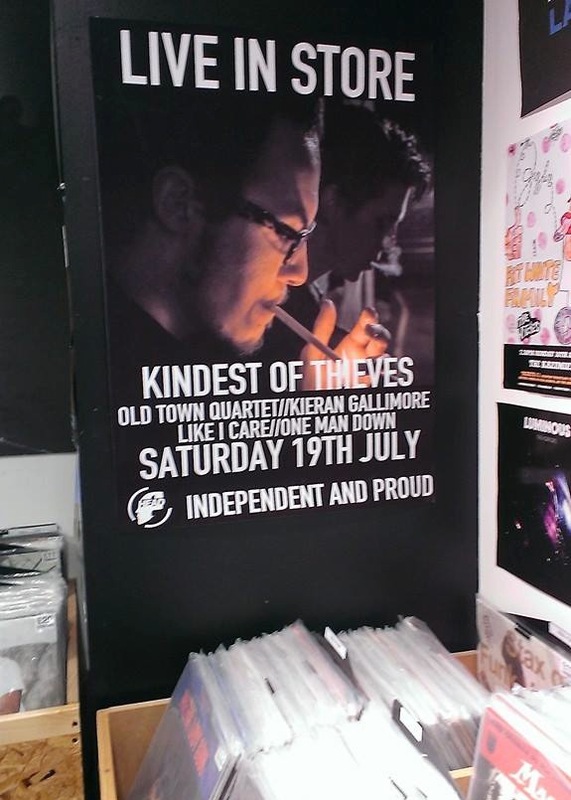 Kindest of Thieves’ 3.30pm set at the record store will be their second performance of the festival weekend with a Golden Square gig at 8.30pm same day. It will be a treat for fans as the band, who are championed by Xfm DJ Clint Boon, do not often play in the town, who were due to play for [WAM] in August. See full lineup across the weekend here. Previous Post Acoustic Series Hits 26! Arms & Hearts Video Up!